Code Engineered Systems roofing contractor provides professional residential and commercial roofing services for all of South Tampa (33611, 33609, 33629, 33616). 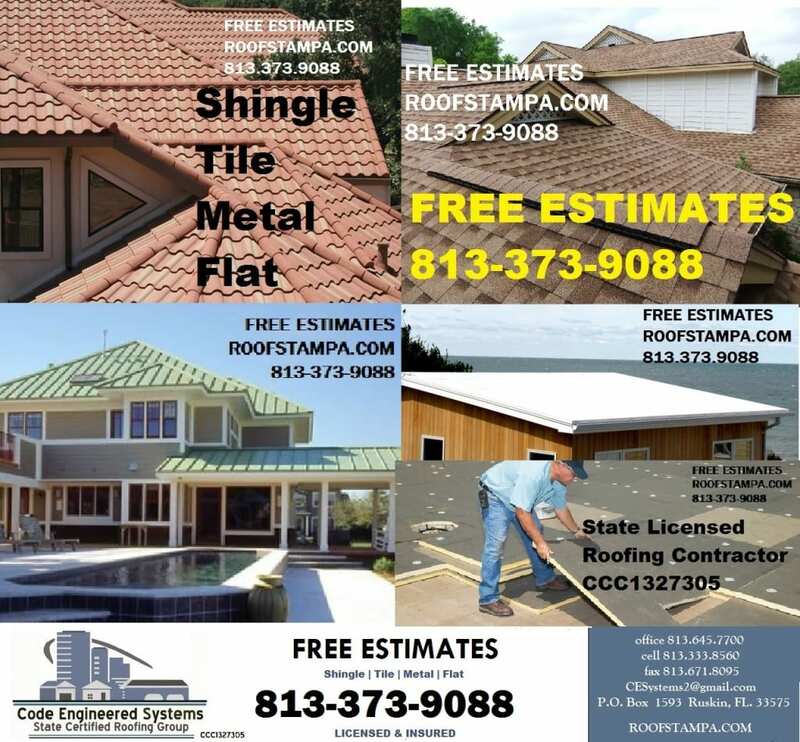 Our company is backed by over 40+ years of roofing experience and our expert roofers are prepared to handle just about any type of new roof, re-roof or roof repair that South Tampa has to offer. Our company specializes in residential re-roofs particularly shingle, tile, metal, and flat roofs. At Code Engineered Systems we pride ourselves in the fact that we always offer affordable roofing without ever compromising quality. We have an impressive reputation and are able to provide a long list of referrals and job addresses from our South Tampa customers.